What is a Responsive Website Design and how does it work? One of the most discussed topics these days in the online marketing world is responsive website design. Well, there is no doubt that responsive websites are becoming very popular and many people are opting for such sites because it is the need of the hour. A fair share of traffic on a website comprises of mobile users and companies cannot afford to lose this traffic and this is why they are going for mobile-friendly versions of their websites. 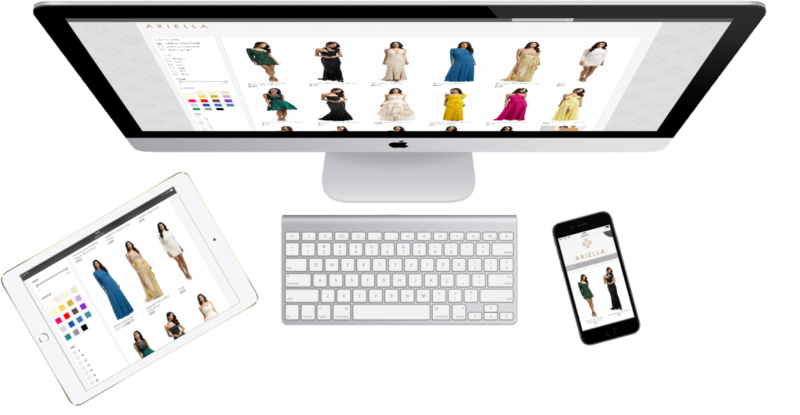 Kinex Media, a leading Toronto Web Designer company explains here what is a responsive website design and presents a brief overview about how does it work. Responsive Website Design: A site having a responsive design is designed in such a manner that it functions in same way despite the fact whether you are accessing it using your desktop, smart phone, laptop or tablet etc. In simple terms, responsive website design functions depending upon the device used by user to view it. Responsive websites have fluid design base and are extremely responsive in nature and that is why they are named as responsive websites. The biggest benefit offered by a responsive website design is that there is no need to have different websites for PC users, mobile users or for any other device. These sites accommodate to different factors quite easily and present a perfect view for the users when displayed through different devices and all screens despite their size and resolution. So, you cater to large number of users without worrying about how your website will appear when viewed through different sources. Visitors can make use of any device including tablet, smart phone or laptop and he will get to view the entire content in quite clear and readable manner. How does Responsive Website Design Work- So, it is a good idea to have a responsive website design than designing separate websites for different users. Since designing a responsive web design is not an easy task, you must take help of a professional Toronto web designer as he possesses the experience and knowledge required to design a good responsive website design. Websites that are responsive in nature are known to provide you significant power to control your website. If developed in appropriate creative manner, a responsive web design can easily adapt to personal computer optimized site to mobile-optimized site settings. These are designed in such a way that they cater to the needs of all types of users alike whether it is a PC user, smart-phone user or laptop user. With ever increasing smart-phone and other mobile users, responsive website design is going to be the future of online marketing world. Kinex Media can offer you expert services if you wish to design a responsive website for your business or company. Visit www.kinexmedia.ca to know more details about their services.